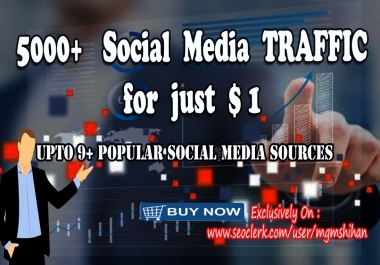 1 Million AdSense Safe Social Media Targeted TRAFFIC with 9+ Popular Social Media Sources for your WEBSITE ! 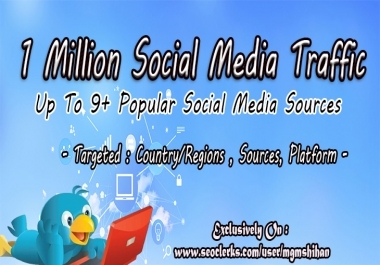 Here we will provide traffic from 9+ popular social media sites. if you want to target specific source/sources please let us in order requirement clearly. If there any issue in our traffic we will refund you 100%.